Galaxy Note 9: How Will It Be Different From Galaxy S9? The Galaxy Note 9 from Samsung will be released later this year, with the phablet required to build on the flagship Galaxy S9. And the Korean consumer electronics giant will undoubtedly have a challenge on its hands in order to distinguish the more expensive device from its smartphone cousin. It is notable that the Galaxy S9 already delivers an outstanding package, with some of the standout features in the mobile industry. Samsung has paid close attention to the trends in the smartphone niche, and has produced a device that borrows from its rivals, while improving on many of their most highly regarded features. One way that the Galaxy Note 9 has been differentiated from the Galaxy S9 is with the inclusion of the S Pen stylus. This peripheral is certainly a standout aspect of the Galaxy Note series, but it is debatable whether this is really enough to make the Galaxy Note 9 a must purchase for consumers. So Samsung will need to deliver some outstanding functionality and novel features with the Galaxy Note 9 instead, and it seems that this process is already under discussion at the Korean corporation. Reports in the Korea Herald suggest that Samsung will finally differ deliver a feature that it has threatened for some time when the Galaxy Note 9 is released. An in-display fingerprint scanner could feature in the Note 9 if reports are to be believed, which would hand the mobile a real advantage over the Galaxy S9. It has been widely suggested that Samsung was tinkering with this feature for the Galaxy S9 earlier this year, but was unable to deliver it due to logistical and technical reasons. Samsung would certainly love to have the embedded fingerprint scanner as part of the Galaxy Note 9 release, not least because Apple has been working on integrating such functionality in its iconic iPhone. The particular attraction of this design is that it enables the display size of the smartphone to be reduced, and it provides other design benefits as well. Internal space can be saved, meaning bigger batteries and true all-screen displays are possible. However, while Samsung would love to provide this feature in the Galaxy Note 9, it should also be stated that it will be a significant challenge, even for the mega-corporation’s technicians. There is a reason that both Apple and Samsung have been unable to deliver this technology as of yet, and even though technicians at the Korean company will be toiling away behind the scenes, there is no guarantee that it will be logistically possible to provide embedded fingerprint scanners in the Note 9 series. 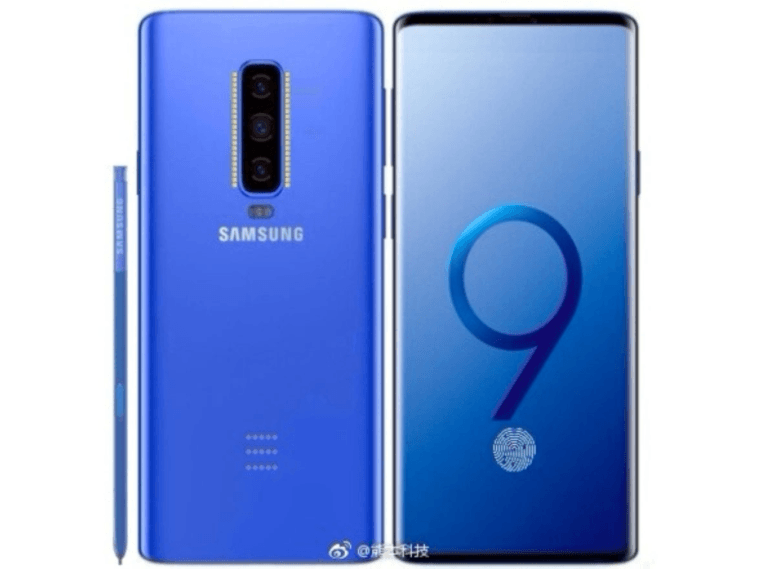 Cost will also be a major consideration for Samsung, with the Korea Herald noting that the project team working on this feature is keeping a close eye on this issue. The newspaper quotes a source close to Samsung which suggests that work is ongoing on embedding a fingerprint scanner in the Note 9 range. “The panel-making subsidiary of Samsung Electronics is working to improve fingerprint scanning technology on flexible AMOLED panels for the Note 9. There is enough time for the display company to improve the technology to meet the handset maker’s expectations before the launch of the Note 9 in late August,” the source commented. It is estimated that this additional feature that would cost around $15 per unit more than Apple’s face ID system, meaning that the exponents could be passed on to consumers. Whether this would then be judged to have a detrimental impact on the commercial viability of the note 9 remains to be seen. Samsung has utilized its Galaxy Note series as the testing ground for some of its most important innovations in recent years, before later including them in the Galaxy S range. Four example, the curved display appeared in the Galaxy Note Edge, before it later became a staple part of the Galaxy Note series as well. With display technology undoubtedly being a critical aspect of the Galaxy Note 9, it is also possible that the smartphone could offer an advantage over the Galaxy S9 via 4K resolution. Samsung decided against including this increasingly popular technology in the Galaxy S9, but it could be a pioneering aspect of the Galaxy Note 9. It certainly makes sense for Samsung to include 4K resolution in the Galaxy Note 9, firstly because this is now becoming a more mainstream screen technology. And, secondly, Samsung has become associated with high quality display technology in the last few years, since it introduced 4K displays to the smartphone range with the Galaxy Note Edge, and ultimately since it became the world’s biggest seller of TV sets back in 2008. Another area where Samsung may look to deliver a Galaxy Note 9 that exceeds the capabilities of the Galaxy S9 is in the audio department. The single speaker of the Galaxy Note 8 can be considered somewhat inadequate. Particularly in a mobile marketplace in which music is increasingly important, it would make sense for the Korean company to beef up the Note 9’s music playback capabilities. Bixby is also likely to be better in the Galaxy Note 9 than the Galaxy S9, with the Korean company working on ensuring that it can rival the likes of Google Assistant and Siri. It is certainly true that artificial intelligence will be a growth arena in the coming years, and it would benefit Samsung to be at the apex of this innovation sooner rather than later. With the new design that Samsung is introducing to the Galaxy Note 9, or at least tinkering with, a larger battery could also be included in the phablet, which would provide a superior battery life to the Galaxy S9. With fast-charging also included, this suggests that the Galaxy Note 9 will be one of the most flexible and convenient mobiles ever released.